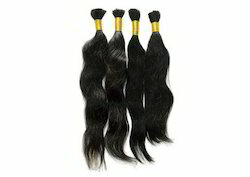 - Size: from 8" to 28-35"
RVHHE Natural Straight Indian Remy Hair Extensions, for RESELL, Pack Size: 10"-30"
Bulk Hair Extension simply refers to the fact the hair strands are collected and tied in bulk in the required weight. Bulk Hair Extension is ideal for those who make their own pre bonded strands or for the manufacture of other hair products such as wigs. HM Women Remy Unprocessed Wavy Human Hair, 20"
Length Size: Length available up to 30"
With the help of our expert professionals, we have been able to offer Virgin Remy Human Hair. We offer these products in compliance with requirements of our clients. 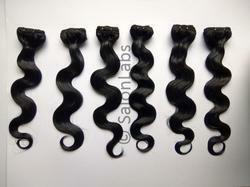 Procured from the reliable vendors of the market, these products processed using excellent quality hairs and advanced technology. We bring forth vast industrial Matching up with the exact requirements of customers, we are involved in presenting a wide array of Remy Hair Extension.